Insights » Operations » How Much Does It Cost To Open A Restaurant? The cost to open a restaurant can fluctuate anywhere from $95,000 and $2 million. That’s quite the range. How do you figure out where your dream restaurant falls on that spectrum? Before the fun of becoming a restaurateur starts, there is a lot of planning to do. Realistically, it will be a while before you’re making money, and even longer before you’re making a profit. However, if you go into your venture planning for that, you stand a better chance of being around for the long haul. This may sound overwhelming, (and, let’s be honest, a little discouraging), but it doesn’t have to be. The best thing you can do to make your restaurant a success is prepare yourself for the cost of opening a restaurant, and estimate as realistically as possible what it will cost to operate it. So how much money do you need to open a restaurant? Well, it all depends on your costs, of course. The good thing is that you can figure out costs with a very detailed business plan (here’s our guide on writing a restaurant business plan). Whichever tools you use, start with a very clear vision of your dream, with as many specifics as possible. The more specific and realistic you are right from the start, the better, especially since more than half of restaurant owners launch their business using their own savings. Reviewing start-up costs will not only give you a realistic idea of how much money you need to raise, it’s also the first question that prospective lenders will ask. Once live, make sure you’re tracking your expenses and matching that against your business plan. If all goes well, you can expect to have an 11% profit margin, the average among operating restaurants. For more, check out this great guide on restaurant costs from our friends at 7shifts! According to RestaurantReport.com, food costs at a profitable restaurant are typically 28%-35% of sales. The article also points out that different types of restaurants may have different food cost goals, with steak houses running up to 40%, versus 35% for an American/Regional menu themed restaurant. To find out what your restaurant’s ideal food cost would be, check out Upserve’s Food Cost Calculator. Just remember, a broader menu means more inventory. And more product means the potential for more loss—losses that definitely factor into restaurant startup expenses, as well. It helps to have a clear idea of what you’d like the menu to be, and spend some time researching those ingredients and suppliers in your area. Building a relationship with vendors can be financially beneficial. In fact, 4 in 10 restaurant owners negotiate with vendors to keep their costs down. Owners can also look at investing in an inventory management system; 64% of restaurateurs use them and say it saves them both time and money. This helps you see current costs, and will help you figure out what your prices would be. All this helps to project your future profits. This includes all the items you’ll need to keep things running smoothly, like kitchen equipment, linens, dishes and glasses. If you’re trying to save money on kitchen equipment, look into leasing equipment, finding used equipment, or buying wholesale. Doing this instead of buying new appliances can help diminish up-front costs. It may also involve laundry services for tablecloths and napkins, or valet services if your location doesn’t have parking. Ask yourself how much staff you’ll need in both front-of-house and the kitchen. What types of salaries will you be paying, and what types of benefits you would like to offer your employees? According to the National Restaurant Association, the annual turnover rate for restaurants is 72.9%, so don’t forget to include what it will take to train your staff and keep them happy and successful. It can cost over $3,500 to hire and train a new staff member, so employee retention is crucial. Also, take your own salary into consideration as well. The average restaurant owner’s salary hovers around $60,000. Depending on what style of restaurant you plan on opening and how successful it’s been, this could be much higher (or hopefully, much lower) than what a restaurant owner’s salary ends up being. The cost per square foot of your restaurant is going to fluctuate drastically depending on the size, location, and concept of your eating place. According to RestaurantOwner.com, average-sized restaurants can expect rent fees to cost around $5,000 per month with Miami and New York being the most expensive areas. To rent a space in one of these popular cities, 1 in 7 restaurants pay a rent of more than $12,000 per month. Only 16% of owners pay no fees because they own their space. As you can see, doing the necessary research is important in gauging how much it’ll cost to find your perfect location.The cost to open a food truck is going to be significantly less than the cost to build a restaurant from scratch. 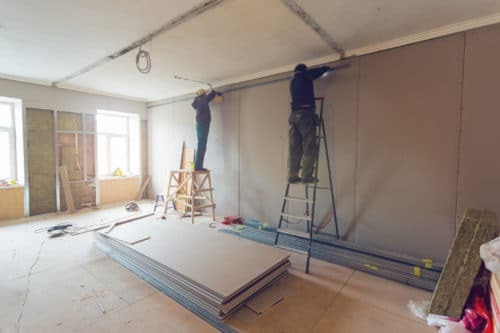 For a broad idea of what to expect, owning a restaurant usually costs around $178 per square foot, while leasing will normally cost around $159. Beyond the obvious food, labor, and administrative costs, there are also overlooked costs that carry a significant price tag. 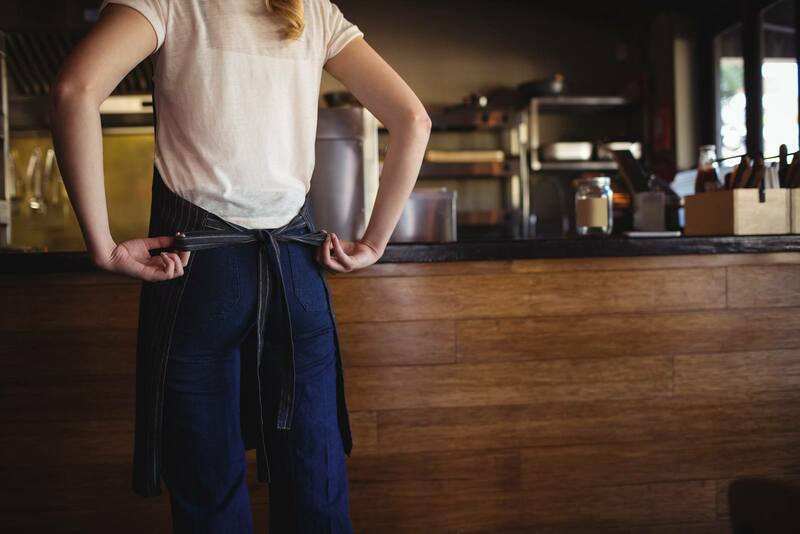 While it helps to be aware of what they are so you can plan better, don’t let them discourage you from your goal of becoming a restaurant owner. Hidden costs of owning a restaurant include things like construction mishaps. Having to move unforeseen electrical or plumbing equipment can both delay your restaurant opening and hurt your wallet. In case any serious damage was done to your property, you might also want to pay for restaurant insurance, which usually costs around $180 per month. Another hidden cost is payments processing, as 4 in 5 restaurant owners say they’re frustrated with payments processors for unclear pricing structures and hidden fees. It’s important to ask processors what the fees are, and if they can increase over the course of your contract. Manage your restaurant’s money with our Restaurant Expenses Tracker. Restaurant technology is imperative in making sure your dream establishment can come to life. 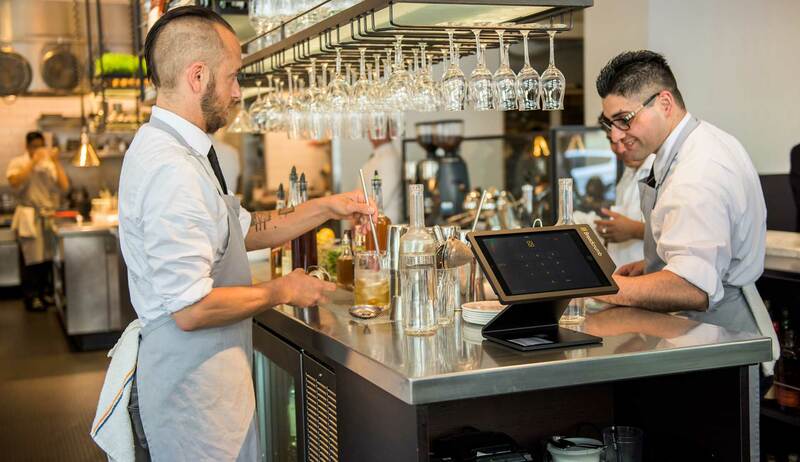 Necessary restaurant tech costs include a basic point-of-sale system (of course), but also consider the costs of other products that could make your restaurant reach its full potential like inventory management and mobile POS systems, and decide if it’s worth adding to your restaurant. 23% of restaurant owners say it takes them 3 hours or more working on a schedule, so having an integrated employee scheduling system could save you a ton of time. 70% of restaurant owners analyze and understand their POS reports and make business decisions based on their insights to grow profits. Even making sure you have online ordering capabilities can be a huge driver of sales. Customers ordering online have a 20% larger check size and on average online ordering drove restaurant sales up 11-20%. POS costs can run anywhere from $100 to $400 per month, but with reporting, scheduling, and inventory management you could see a large return on investment. Fancy marketing firms come with a price, but in today’s day and age, all it can take to get your restaurant known is a solid Instagram presence. Delegating social media responsibilities to a member of your staff can help generate word of mouth for your restaurant for a low cost. Adding a couple hundred dollars per month to a staff member’s paycheck to run your restaurant’s social media could be your best option for low cost marketing. You could also consider hiring local artists to create branded signs and logos or takeover aspects of social media. This is not only cheaper, but also helps build a connection with the community your restaurant is located in. This shouldn’t cost more than a few thousand dollars, which is much cheaper than hiring an agency to do it. Those bills can often run up to $30,000. Everyone knows they have to pay utilities, it’s just the actual cost of them that might take new restaurant owners by surprise. It’s smart to look into your utility situation before signing the contract. Like in residential situations, sometimes previous owners leave without settling up their bills. By signing on, you may take on the debt and have to pay it before services will start. In general, restaurant utilities normally cost $3.75 per square foot annually. With the average restaurant being around 4,000 square feet, a restaurant owner can expect to pay over $1,000 per month on gas and electricity. Background music is one of those things that is so common these days that it practically goes unnoticed, but when it’s not there, the silence can be deafening. If you plan on playing music in your restaurant, you’ll have to pay for the rights to music because restaurants are commercial businesses and thems the breaks. The fees to license music come out to around $2 per day, which is low considering the penalties for playing unlicensed music start at a minimum of $750 and can go as high as $30,000. $2 a day to have some good tunes playing at your restaurant sounds worth it to me. Not to mention, having a curated playlist that matches the ambiance of your restaurant has been proven to increase sales 9% compared to restaurants who just play random music. When a customer’s favorite song comes on, that will not only entice them to return, but it could also lead to another round of drinks! 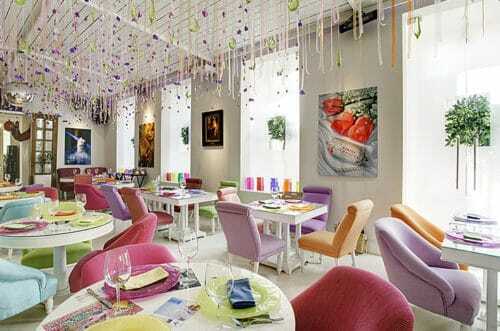 Making sure your restaurant has the correct ambiance can be costly. 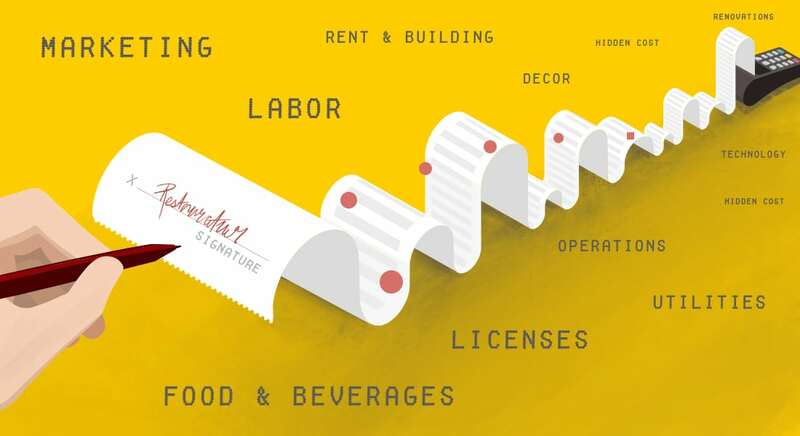 For some restaurateurs, the process of buying new equipment, furniture, and decor can cost hundreds of thousands of dollars. So be smart when rebranding your space. Recycle as many decorations and furniture pieces you can think of, and remember, sometimes less is more! Skipping out on certain amenities, especially at the beginning, can work in your favor. For example, purchasing a soda machine might be something you’d like in your space in the future, but to save restaurant startup costs, it might be worth it to wait to install one. Without the proper paperwork, your restaurant could be shut down, so don’t skimp here. Every restaurant needs a business license. The typical application fee for this is $50, with additional fees ranging from $25 to $7,000. In order to serve food, you’ll also have to pay for the cost of a food handling license. The fees for this can range from $100 to $1,000. And finally, if you’ll be serving alcohol, you’ll need a liquor license (the cost of which varies state-by-state). To start the process of finding out how to obtain a liquor license, turn to the Alcohol Beverage Control Board for your state. Liquor License Cost Range: $300-$14,000 Initially (based on state).